All over the world, people admire racecar drivers for their dedication, fearlessness and intensity. Below are just some of the top Formula One drivers of all time. These master drivers have used multiple cars, with varying radiators, U-bolts, and other parts over the course of their racing careers. Dubbed “El Maestro, the first legend of F1 racing took home the championship five times out of his first ten years in Formula One circuit. He was originally a mechanic who, after serving his compulsory military service, began to race in his homeland of Argentina. His passion had been soccer but he soon put those dream on hold to beat racing records. He soon beat a two time Argenitine National Champion. In 1947, he finally went to Europe with financial backing from the Argentine Government under Juan Peron. In 1952, he broke his neck at Monza and after letting it heal, went back to racing. He won his Formula One championships in 1954, 1955, 1956 and 1957 to prove he can still ride. He retired in 1958 after the French Grand Prix and died on July 17, 1995. Thought and considered by many to be the most skilled racecar driver to grace the earth, Ayrton Senna managed to pick 41 grand prix wins and three world titles. But in 1994, the newest star of the racing world died. During his seventh lap in the San Marino grand prix, his car sped off the racing track and hit a concrete wall. At 6:40 PM, doctors announced that he had died from injuries sustained from his crash.. Still, there’s no doubt that even in his short life, this Brazilian racer has made a mark as one of the greatest in racing history. 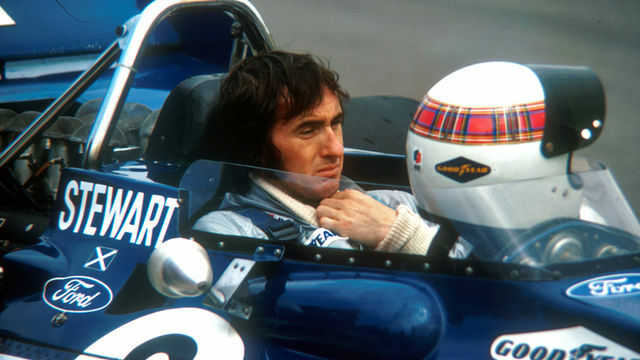 Nicknamed “The Flying Scot”, Jackie Stewart was a man who pushed for better safety standards and held the record for most grand prix wins for more than a decade. Wearing his signature white helmet with the Royal Steward surrounding the top, he won the world championship three times (1969, 1971 and 1973). On the same year that he won his last championship, the Scot announced his retirement from racing . In 1997, he returned to racing not as a racer but as a team owner with Stewart Grand Prix. Discipline, dedication and focus. These are the three qualities that led Austrian Niki Lauda to win three times in his racing career. In 1975, he captured his first championship. It could have been a back-to-back championship had it not been for his accident in the 1975 German Grand Prix held in the dangerous Nürburgring track. He sustained numerous burns and fought for his life for days. But when he got better, he didn’t let his injuries stop him from racing and six weeks later, was driving to bring back the points he had lost in the two races he missed. He lost to British James Hunt but in 1977 and 1984, won the championship again. He retired in 1985 to run Lauda Air, his airline which he sold to Austrian Air in 1999. 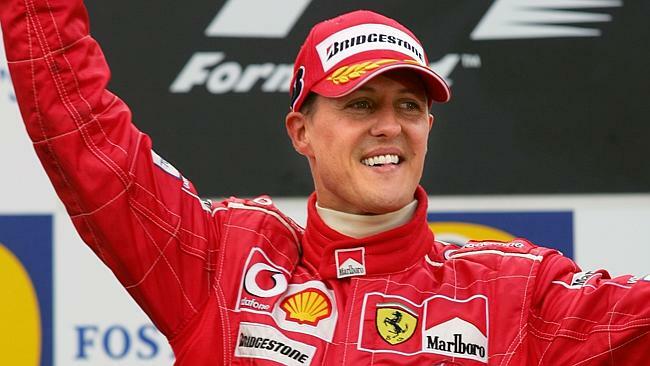 One of the best drivers in modern Formula One history, German Michael Schumacher proved his worth by winning the championship seven times, the most titles held by anyone in Formula One racing history. On August 21, 1991, he made his debut into Formula One racing. Three years later, he won his first championship and did the same the following year. He dominated the racing world by winning the championship five times, from 2000 to 2004. In 2006, he retired from racing and became an adviser for Ferrari. In 2013, while skiing the French Alps with his son, Schumacher fell and hit his head on a rock. He sustained serious head injuries despite wearing helmet. He was placed in a medically induced coma and in June 16, 2014, had regained consciousness. In November of that same year, it was reported that he was wheelchair bound with speech and memory problems. These amazing drivers did not achieve their success overnight. It took them hard work and serious training, something you can do if you also want to be the best in your field.